In space no one can hear you scream. There are plenty of places here on earth where nobody will either. Huge swathes of our planet are still unserved by telecommunications infrastructure, meaning for millions of people there are no calls home, no photos from the field and no SOS text messages. While handheld satellite phones offer to connect the ‘out of range’, the high cost of handsets and services (Telstra for example offer bundles for around $2000 dollars excluding the $4 a minute usage charge) has been prohibitive to most. But thanks to the falling cost of the satellites needed to provide coverage, the launches that get them to space and the technology on the ground, full bars will soon be within reach of regular people in the most remote of areas. Now a company listed on the Australian Securities Exchange and headed by a former Israeli Air Force jet fighter pilot is planning to provide satellite coverage to millions of people living in a band around the equator stretching from Darwin to Hong Kong by 2020. Sky and Space Global (SAS) and its partners will distribute affordable all-in-one satellite phones, loaded with their own app, for as little as $20. But first the company needs to get a constellation of 200 shoe box sized nanosatellites clear of the atmosphere and flying in perfect synch. In June, SAS chief executive Meir Moalem was at Satish Dhawan Space Centre in India, nervously a waiting the launch of the Indian Space Research Organisation’s Polar Satellite Launch Vehicle (PSLV). Aboard the rocket were three of SAS’s prototype nanosatellites – Diamond Red, Blue and Green – designed by Danish firm GOMSpace and costing around $65,000 apiece. “I couldn’t be anywhere else,” he tells Computer Australia during a recent visit to Melbourne. Of the 827 nanosatellites sent to space since 2000, 71 have been destroyed on launch. “You’re less worried about the things that can go wrong that you know about. With the launcher, you have no idea what exactly goes on there, you’re just sitting and watching the launch that someone else is doing, and you hope for the best,” Moalem, a self-confessed lifelong ‘space guy’, says. The launch was a success (unlike the next PSLV launch just two months later). "I was keeping my fingers crossed until I saw the satellites separate from the launcher. It was quite an experience,” Moalem remembers. Following a polar orbit the three Diamonds now pass over Sydney every few hours. Miles beneath them from their base in the UK, the SAS team have been busy proving the technology. In September the company announced it had sent instant messages, voice recordings and images using the Diamonds and a world first: the first phone call facilitated by nano-satellites. The buying up of bandwidth on the three Diamonds alone has been swift. SAS has already signed deals with wholesale operator Sat-Space Africa and African payments app BeepTool (which yesterday made the world’s first financial transaction via nanosat). The three Diamonds launch successful, now for 200 more. To secure spots on launchers, SAS signed a deal late last year with Virgin Orbit, a spin-off of the Virgin Group established in March dedicated to getting nanosats to space. 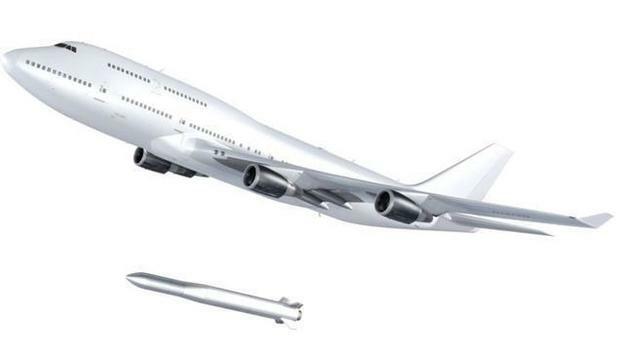 The company is testing a two-stage, expendable rocket system – LauncherOne – which will be fired from a 747 aeroplane – named Cosmic Girl – midflight. “Having a 747 as our flying launch site means that LauncherOne can tailor each mission to suit each customer. We’ve seen an enormous level of commercial and governmental interest in launches that can reach equatorial orbits without having to pay the large performance penalty associated with transfer orbits,” explains Virgin Galactic CEO George Whitesides. SAS has booked four launches, which will each deliver a payload of around three dozen nanosats – each with a three metre span of solar panels and around 150 Watts of power, nicknamed Pearls – from the middle of next year. Further launches will deliver the full 200 nanosat constellation by 2020. And the launches will continue. “We intend to replace 25 per cent of our satellite, 50 satellites every year. Technology moves forward all the time, so within a year from now we will have better solar panels or better payload technology or better computers or better something. So we will keep upgrading them on a yearly basis,” says Moalem. SAS, which listed on the ASX through a reverse takeover of Burleson Energy in May last year, says it will then sell bandwidth and equipment to telcos and providers across the world. An MOU has already been signed with Latin American communications consortium Globalsat Group. Users will initially purchase a cheap satellite device to which they can connect multiple smartphones. SAS is also partnering with $1 smartphone maker Social Finance Systems to work on a cheap handset with a built in satellite antennae. Making calls and sending messages and data is done over SAS’s proprietary app Chatellite. The exact operating model, including whether the devices and app will retain SAS branding or be white-labelled is yet to be determined, Moalem said. “It will be up to the providers to decide. Our business model is selling the service,” he added. SAS forecasts its revenues in 2020 will reach $1 billion. Nanosatellite technology still fills Moalem with a sense of wonder. “It's amazing that you can have this small box that goes miles over your head and you can use your smartphone with a very small satellite antenna and make a phone call. For me it's quite amazing that you can do that,” he said. And it promises to change the lives of millions of people around the world.